After 25 years of service, Bar Counsel Edward L. “Ned” Davis is retiring from the Virginia State Bar as the head of the department of professional regulation. Davis began his employment as an assistant bar counsel in 1993 and prosecuted many high-profile cases involving receiverships and other complex matters. In 2008, he was promoted to the position of bar counsel. The bar counsel supervises the department of professional regulation, which investigates and prosecutes lawyers in professional misconduct matters and oversees the regulation of legal ethics, lawyer advertising and solicitation, and the unauthorized practice of law. He reports to the executive director and the standing committee on lawyer discipline. During his tenure, Davis has shown strong leadership through example by consistently handling an active caseload, and the volume of open cases has been reduced, despite a reduction of staff. He currently oversees a department of 33 employees. 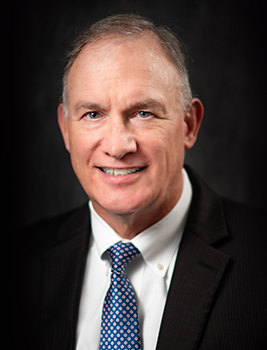 Before coming to the bar, Davis was deputy commonwealth’s attorney for York County and the City of Poquoson, and he served six years in the U.S. Army Judge Advocate General’s Corps. He transferred to the Retired Reserve when he became bar counsel and retired from the U.S. Army in 2013. The search for Davis’ replacement has already begun. The VSB is accepting applications for the position of Bar Counsel. The Virginia Attorney General and the Virginia State Bar Council are required to approve of any candidates recommended by bar staff. Davis’ last day in the office will be at the end of December.